The delight-directed learning method has been the joy of our homeschooling for several years now. Are you familiar with the term? We happened upon it purely by accident when my son was in third grade, and we kept falling off our well-organized lesson plan. The next lesson in your geography curriculum takes you on a tour of Canada. After spending a wonderful day of learning all about the climate, the lesson plan leads you on a trip down a stream in British Colombia, where you discover the architect of the animal world, the beaver. Suddenly your child is obsessed with beavers. He wants to find books at the library, watch videos, draw and paint beavers, and spends much of the day building beaver dams and lodges out of Lincoln logs. At lunchtime, you find him gnawing a raw carrot the way a beaver would gnaw a tree trunk. The next day, when you are ready to move on to the next country, your curious and creative child just wants more time learning about beavers. 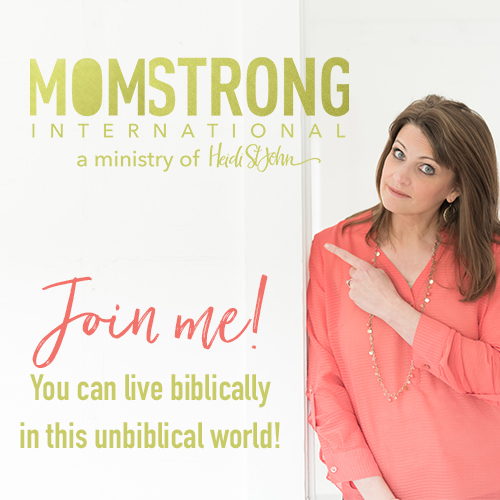 What’s a devoted homeschooling mom to do? You could just tell him how sorry you are that there is no more time for learning about beavers because South America is next on the lesson plan. Or, you could put the lesson plan away for a few days and enjoy the delight your child has found in this interesting creature. The above is a true account from our own homeschool. In this case, we moved on to the next thing on the lesson plan, but when it happened again a few weeks later (this time with Mexico and butterflies), I took notice. In fact, after we finished our intense study of the Monarch butterfly, we went back to Canada and the beaver. Our homeschool has never been the same. Perhaps you can relate. You might be the homeschool mom who just moved on. Or maybe you are the one who stopped and relished in your child’s curiosity for a day or two (or ten). There is not a thing wrong with either option, but today, and for the next few months, I want to take some time to help you see the possibilities of adding delight-directed learning to any homeschool. To YOUR homeschool. This 5-part series will give you some simple tools and methods of observation you can use to just let loose and allow the interests and passions of your children to dictate what they learn, for that is the basic definition of delight-directed learning. It may be something you will completely fall in love with and want to do all the time (that is exactly what happened to us), or perhaps you will be able to find one day a week (or month) to devote to delight-directed learning. I believe you will enjoy it, and I know your kids will. This first method I want to share this month is simple — just talk to your kids. Or maybe just pay attention to what they talk about most. What piques their curiosity? If your children speak endlessly about whales or Ben Franklin or knights or princesses, begin there. There really are very few topics that cannot be developed into an educational experience. We often take these topics and create unit studies. A unit study can last for a week, a month, or even a year. You are in control of how long you spend on a topic. This is a great way to homeschool all the time, but if you’re not comfortable doing that, use this method for a nice break now and then when you are following the lead of your student, or for a summer study. That should get you started. No fear, mommas! Don’t be afraid to put away the lesson plan and follow the lead of your students. Even if for just one day. You may surprise yourself and forget to bring it out again! What do you think? Will you give it a try? Have you already? 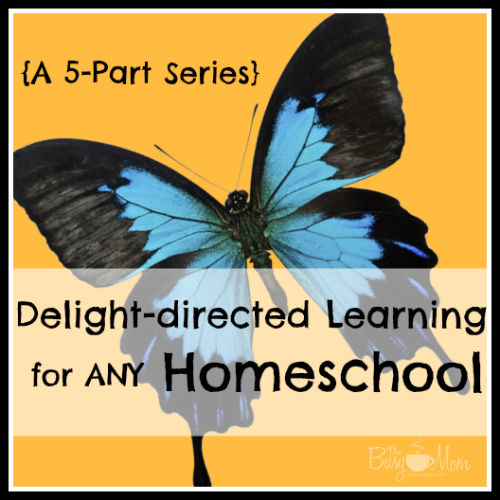 Join me again next month when I’ll share another easy to way to integrate delight-directed learning into ANY homeschool. our library card is our friend. seriously — we spend far more time with great books than with any curriculum! A plan on how to not “plan” (at least not “plan” too much anyway). This is a great post and a welcome breath of fresh air. Thanks! Ahhh just in time! We have done a few unit studies this school year and I’ve loved how much easier those lessons seem to be than our “regular learning.” I’ve been exploring the idea of using more unit studies for the fall. I will be following this series closely. Delight directed learning… I like it. awesome! I can’t wait to hear more about how it goes for YOU! Thank you for posting this! Definitely checking it out. I’m really trying to help them love learning. So tricky sometimes! love of learning is key, for sure. giving them some control over what they learn helps tremendously. I look forward to this in the future with my toddlers! it is a major blessing to be able to begin at a young age, exploring their interests and passions. good for you! I would love to find delight in learning, but my daughter gets up every morning dreading school! I fear I do not plan enough. Some days I feel like I may be too busy to homeschool. I’m really only schooling one 12 year old now. I have two older ones who are still at home but in college. They have such varied schedules-I think that may be part of the problem. Everyone seems to think I can drop whatever and help them. I sometimes make lunch three times in a day. I will put in place a very organized schedule, but it always seems to fail after two or three days. There are so many unexpected events in a day-the dog needs to go to the vet or groomer and I am the only one available to take him. The neighbor’s children are out of school for some random reason and all 6 or 7 friends ring the doorbell for my 12 year old to play. When I say she has school and can’t, I am faced with much weeping (over how unfair this is)by my 12yo. I am loosing resolve to keep trying. Any advice? To start — why are you making lunch 3 times a day. All of your kids are old enough to make lunch for themselves :). My best advice is for you to make certain hours during the day sacred for homeschooling. For us, that’s 10am-2pm. Nothing happens during those hours unless it is an emergency. Think of homeschooling a bit as a job. If you were “working” those hours, you wouldn’t be able to just leave on a whim. For your daughter — have her make a list of some things she would like to learn about. Nothing is off limits. Then take her list and begin gathering resources to help her research — library books, videos, free online resources. Hi Melissa. I can somewhat relate to trying to homeschool with very little time when my mom was diagnosed with a terminal illness last year and I was homeschooling two kids, had a 3 year old and helped my dad with her very demanding care. I had to be OK with a less structured school day. Sometimes we did school on weekends when my husband was home, which if you happen to be a single mom I realize that wouldn’t be an option. Some days we started school early, like 7:00 am so we could be done by 10:00 am and then we might do more from 3:00-5:00 but that gave me the bulk of the day to do what needed to be done for our family and my mom. There are a lot more computer based curriculums that can do a lot of the teaching for you such as Switched on Schoolhouse, Teaching Textbooks and online programs such as K12. I began using some of them to free up my teaching time as needed. Could your college aged children take on some of the tasks that derail your day or even get involved helping homeschool certain subjects? Just a thought. Good luck to you. I know how frustrating it can be. These blogs actually got me through many rough days! This was the exact type of homeschool “inspiration” I have been looking for! Thank you for sharing your ideas 🙂 I can’t do this all the time as I have 5 at home and varying ages but I think this is something I can choose to incorporate at least a day or two a week which is the simple change that we need for this last half of the school year. 🙂 Again, thank you! yay! you’re very welcome. I’d love to hear how it goes! Thank you for this wonderful article! I have been homeschooling for 5 years now. I love it! We have been using an academy for our educational needs. In the beginning I was so afraid to try the homeschooling on my own without an academy for a guide. I just didn’t think I could do it. Well after looking into the cost for next year for three kids enrolled in the academy, well we just can’t do it. It’s funny how God works things out because when I looked up the cost it didn’t take me days or even minutes to decide to do this on my own, just seconds. I said to my hubby, “We can do this without the academy. We know what the kids need or want to learn. There are books and websites to help us figure out what needs to be taught. I don’t need that academy anymore.” Even I was shocked a little by my response, I was a completely different momma than I was five years ago and I was so happy I was. Now I am looking for books, lessons, etc. for the next year (for a 5th grader, 2nd grader and a 1st grader). Good news my 2nd grader and 1st grader are almost completely taken care of because of the books passed down. I know I am rambling, stay with me I am bringing it all together I promise. Anyway, as I look up what I want to teach, what needs taught, etc I want to change things up a bit. I want to stop using the books only and having to get every page done (with the academy I had to for their grade). I want to open our classroom more, in the warmer months explore more outdoors, read about places, people and things that interest the kids. Spend hours doing science experiments and so much more. Your article has inspired me more to continue with this thinking, to break the walls of structured, written out, by the date and time lesson plans. 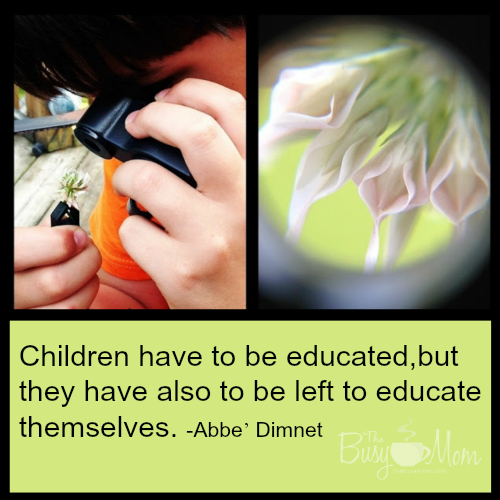 To pay more attention to my children’s interest and what will drive them to learn more than I ever did. Thank you again for the wondeful article, I can’t wait for the next one! this just blesses me so much. 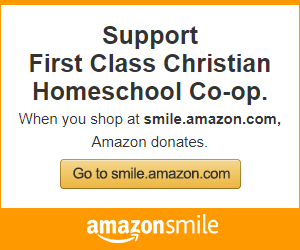 I am so thankful you have found the confidence to move toward a more fun and enriching homeschool! I love this method! I used to work so hard and plan and organize only to constantly have my “plans” derailed by eight year old son’t passion for something that wasn’t in my lesson plans. So, last spring, I threw out the lesson plans and decided to go with his passions rather than mine. The timing was perfect because I had just started a part-time job at our church. Over the summer, my husband was diagnosed with a rare leukemia and I knew that continuing to homeschool this fall could potentially be a challenge. But, I sat down with my son and we discussed some different things that he would like to study this year (Ancient Egypt, Greek Mythology, art/drawing). I ordered a few books on those subjects and decided to let him enjoy his school year. So far, it’s working out really well especially since my two boys (2 yo and 8 yo) are with caregivers three to four days a week while I drive my husband to chemo treatments. I figured if my son is working on something he REALLY loves then I can just leave a few simple directions for him while we’re gone and he’ll gladly do his schoolwork. So far, so good. None of the caregivers have had any trouble getting my son to sit down to do his work on his own. He can’t wait to jump into learning every day! Of course, when I’m home in the afternoons or if we have a day off of treatment, I still work with him on some fundamentals. But, overall, this is the best option for our family right now. I really like this model of learning and I am pretty sure that we’ll stick with it even after our lives get back to a more “normal” (what does that even look like for homeschoolers???) schedule. He is learning so much and I see the delight and passion he has. It truly thrills me.